When the Britain voted to leave the European Union, not all supported the decision. The majority in Northern Ireland doesn’t want to part ways with the EU, but the ‘Leave’ decision is going to be imposed on the whole of the UK. Calls are now emerging for The North to unite with its neighbor, the Republic of Ireland, which is a member of the European Union. Can the legacy of violence stand in the way of reunification and harm the Good Friday agreement? And how stable is the United Kingdom after its controversial vote? We ask national chairman of the Sinn Fein party in Ireland and member of the Northern Ireland Assembly – Declan Kearney – is on SophieCo today. Sophie Shevardnadze: Declan Kearney, national chairman of the Sinn Fein party in Ireland, member of the Northern Ireland Assembly, welcome to the show, it's really great to have you with us. Now, after 55,8 percent of Northern Ireland voted to remain in the EU, your Deputy First Minister Martin McGuinness said the Brexit means that the UK central government doesn’t have a right to represent the interests of the people in the North any more. But the majority voted for Brexit, you’re part of the UK, you knew that Remain could lose - that’s just democracy, shouldn’t this decision be respected? Declan Kearney: What we've seen in the North of Ireland is in fact a subversion of democracy. The important point to remember is that Ireland is partitioned and it is contested territory. Sinn Fein's view is that there is a need to bring about national democracy and independence in the Island of Ireland. The Brexit decision was a decision arising from a referendum which should never have happened. This referendum owed more to the internal divisions between the British Conservative party than it did in relation to meaningful discussion about the future relationship between the people of Britain and the people of Ireland and the EU. SS: Sinn Fein was always sceptical towards the EU membership and initiatives from Brussels - but now you’ve become Europhiles, why is that? Is separation from the bloc really that bad? DK: The position of Sinn Fein has always been that there's a need for critical engagement with the EU. There are many matters relating to the European Union, which we consider to be deeply imperfect. So, our position is critical, we believe that the EU as it is currently made up doesn't best serve the needs of citizens. There's a requirement for a far-reaching reform to ensure that the EU acts as a more democratic Europe, acts as a force for good and for global peace and serves as a social Europe to meet the needs of workers and business people and those who are engaged economically across the EU. At this point in time those requirements, the democratic, the social requirements are not being met. SS: So isn't it just easier to leave the EU altogether? DK: Strategically speaking, Ireland's place is best served in Europe, but we cannot bring about the changes that are required by being pulled out of the EU and certainly not on a basis of a non-democratic decision which is being voiced foisted upon the vast majority of people here, in this region, who voted to remain within the European Union. SS: Sinn Fein has said it will push for a Border poll - a referendum on uniting with Ireland after Britain’s decision to leave the EU - what is your plan of action? DK: We have said that the democratic decision of people here in the North of Ireland should be respected and underpinned by the Irish government and the 26 counties in the South of Ireland,by the British government and that it should also be underpinned by our regional Assembly and executive. We have said to the EU that it is important for the European Union to also recognize that the North of Ireland has a very special relationship with the European Union which must be protected. So, we're arguing very strongly that there's a need for the North of Ireland special relationship with the European Union to be retained. Our position here in the North of Ireland should continue within the European Union, and we are calling upon the Irish government in Dublin to convene an all-Ireland forum to bring forward proposals which would guarantee continued the existence of the North of Ireland within the European Union. SS: Under the Good Friday peace agreement between pro-Irish and pro-British factions, Northern Ireland can initiate a poll when the public opinion favors Irish unity. But not leaving the EU and favoring Irish unity are different things, after all. Do you have legal grounds to push for a Border poll? DK: Firstly, there's a legal challenge being brought forward to this decision by a cross-action of political parties here, in the North of Ireland, who supported the Remain position, along with progressive and democratic sections of civic society. In relation to our own going and our future relationship with the EU, the Good Friday to which you referred took its inspiration from the rights which are enshrined and enjoyed as a result of the European Union's existence. The EU has been very important in relation to benefiting and supporting the Irish peace process. For the North of Ireland to be removed from the EU would, in fact, have implications for the continued viability of the Good Friday agreement here in the North of Ireland and that would have implications for a political process and would be damaging towards the overall peace process in our view. SS: The Protestant community is in the majority in Northern Ireland, and Protestants tend to support the continued union with Great Britain. Aren’t you afraid you’ll be defeated in this poll? DK: There's a provision in the Good Friday agreement: "in circumstances which have dramatically changed" - and in our view, the Brexit decision represents a huge change in the political and economic context here, in the North - for what is known as a "Border Poll" or a "Unity Referendum", to be associated. We believe that it is important that we examine the invoking of that provision, that a Unity referendum now takes place in the both parts of Ireland, arising from this changed context. But it is very important that if we are moving towards a Unity referendum, that there's an inclusive national conversation which takes place on the Island of Ireland, about what the future Constitutional and economic makeup of the Island should look like. To that extent, people of a Unionist persuasion have a very important contribution to make. What's important to register is that this decision has created massive uncertainty across society here in the North. Every citizen, every section of the Northern society and, indeed, in the 26 counties, are now engaged in a fundamental re-evaluation of the status quo. We believe that in those circumstances of change, we should now annonciate a discussion about the future, because, quite clearly, the status quo is not an option, and we have a situation arising from this Brexit decision, where the continued partition of Ireland is demonstrating that it is not working in the interests of the people of this Island. Brexit is the price of the partition of Ireland. SS: A lot of the people of Northern Ireland consider themselves British, they would never accept a united Ireland… Are you wary of re-opening of old wounds with this talk of unification? I mean, can this lead to violence breaking out again? DK: I think that this process is much too strongly embedded within an Irish society. It is now irreversible. So, I don't envisage a situation where any set of circumstances could lead to a resumption of armed conflict, such as we've come through in the last 30 and more years. What I would say, however, is that Sinn Fein's vision of a United Ireland is one where we have maximum support for a changed structure across the Island of Ireland. Our ambition is to create a great, united Ireland which encompasses all tradition, all perspectives, and all citizens. So, we hope to see a situation of an inclusive national conversation where every citizen of Ireland could now begin to re-think and re-imagine what a future agreed united Ireland could look like, because the partition of Ireland has caused and perpetuated so much division and conflict in the past. SS: Now, look at the Scots. The Scottish National Party took years to prepare their referendum on independence, put together a 600 page detailed report on their secession proposal, how are you going to speed up the process of your vote to make it happen as soon as possible? DK: In the first instance, Brexit has brought about a dramatic change in circumstances. It has caused the re-evaluation about which I referred. It's now incumbent upon those who have a vision for a future Ireland which would much better benefit all of our citizens to point us towards the path of discussions that we need to have about what Ireland's new economic future should look like. How can we redesign the Constitutional basis of the United Ireland? I and Sinn Fein do not envisage the situation where we simply take the North of Ireland, currently under British jurisdiction, and bolt that on to the current structure of the South of Ireland. That would not be an appropriate situation, it will not serve the constitutional, political and economic needs of Irish citizens. We need a new conversation that allows us to examine new accommodations and new compromises that would ensure that we create an inclusive constitutional and political future that all of our citizens can benefit from. SS: Speaking about the consequences of Brexit: what happens now to people in Northern Ireland who live and work in Ireland, and vice versa, if the labour market closes, that is essentially dividing people of one nation, right? What happens to the ties between the two Irelands that have developed over the years of non-existing borders? DK: This is one of the huge difficulties that is now being created arising from this decision, because we face the prospect of one part of Island of Ireland, the South of Ireland, remaining in the EU, and the North of Ireland, currently under British jurisdiction, being pulled out of the European Union. There already is a partitioned situation on our Island. There are two different jurisdictions. One of the powerful influences that has been created arising from the peace process is to accelerate all-Ireland integration, both politically and economically. One of the consequences of the Good Friday agreement was to establish all-Ireland political institutions, arising from our peace process. All of that would be threatened as a direct consequence of this Brexit decision. It is certainly going to create further division on the Island of Ireland and we don't need to see greater division, and it is going to be a hindrance to the continued all-Ireland economic integration, which we have enjoyed over the course of the last period of many years. I can say this to you: currently, on a weekly basis, there's a level of trade between North and South in the region of 1.2 bn euros per week, and there are 200,000 jobs directly and indirectly, across the Island of Ireland, North and South, which depend upon that trade. Now, the uncertainty which has been unleashed arising from this decision means that all of that is directly threatened. There are no clear, certain answers as to what would happen to all-Ireland economic integration or all-Ireland economic cooperation in these new circumstances. SS: Northern Ireland set out its Brexit demands to Prime Minister Theresa May - first, they include keeping a porous border with Ireland. Do you think that the UK will be ready to negotiate an exception for Northern Ireland and Ireland? Is that going to be enough to mitigate the harm from leaving the EU? DK: Neither the British or the Irish government are in a position to negotiate the nature of the border which will be created arising from this decision. These are matters which will be taken by the European Union. But, the very deep concern across the Irish society is that we will, in fact, see a hard border reinstated between the North and the South of our Island, and that would be hugely regressive for the political process and, as I mentioned, in relation to all-Ireland economic cooperation. The British Prime Minister Theresa May has spoken about "Brexit meaning Brexit" and that the British government intends to make a success of Brexit. What she has omitted to say is that the British government don't have a clue about what a successful Brexit is going to look like. The fact of the matter is that the British government doesn't have the political or the institutional capacity or memory to engage with the new circumstances that this decision is going to foist upon the British State and it is very important to recognize that arising from all the uncertainty and the huge change which will be unleashed, that the British State is now in an unprecedented level of political and constitutional crisis such as has never been witnessed before. SS: Brexit will have a big impact on the Republic of Ireland as well - Britain is the biggest market for Irish exports and any post-Brexit recession in Britain will automatically be felt in Ireland. Is it fair they have to suffer too because of a referendum they never even voted in? DK: A new report has been issued in the South of Ireland which clearly set out very-very stark repercussions for the economic recovery of the South of Ireland, and pointed out the very serious and challenging implications that the Brexit decision will have for the North of Ireland. It is a very small, regional economy, which sits on the periphery of the British State. There are many-many jobs and huge levels of investment and trade which depend upon the North of Ireland remaining in the European Union, and, as a direct consequence of that, the benefits which would be denied to the South of Ireland, arising from Brexit decision. There's a great level of trade between North and South, enormous trade between the South of Ireland and the British State itself, and all of that is now placed in jeopardy - as a direct consequence of this decision. SS: The Irish Times reported that Prime Minister Enda Kenny believes that United Ireland is possible, saying: “In the same way as the Wall came down in East Germany and it was absorbed into West Germany” thereby bypassing the need to apply for EU membership. Is that how you picture it, that Ireland will just absorb Northern Ireland? DK: Firstly, we are now seeing a huge shift in political opinion across the Island of Ireland. There's now a greater level of discussion than ever before about the future, about the imperative of Irish unification taking place against the backdrop of this Brexit decision, because, increasingly, political and civic opinion is recognizing that this Brexit decision is indeed a consequence or a price which is being paid as a result of Ireland's continued undemocratic partition. So, as we see more become involved in the debate and discussion about the future of the Island, constitutionally, politically and economically, then we will be looking towards models and precedents which may act as a guide, or assist - our resources for us in how we take forward the national conversation about which I spoke and the reunification of Germany, I think, is a very important contemporaneous example, which we should all draw from as we are focusing on that particular national discussion. However, as I said earlier, the reunification of Ireland, from a Republican, from a democratic point of view is not simply a case of taking the current North of Ireland and then gluing it on the 26 counties. We need to re-imagine a future of Ireland, we need to look at what is going to be the most appropriate constitutional and economic and political models which will serve all of the people of Ireland, including the very significant Unionist population, which exists within the North of Ireland. SS: The prospect of Scottish independence was met rather coolly in Brussels. Have you gauged Brussels’ reaction to a possible Irish reunification? DK: I think you'll find in the European Union and, across the board, internationally, that there's good will for the reunification of Ireland. I mean, it is a very reasonable and a democratic option which has been consistently and historically denied the Irish people. So, the EU, I believe, contains great good will, not just for the peace process, but for the continued transformation of Irish society, particularly here in the North. There's an inevitability about how we can work together, I believe, in relation to building the potential for Irish reunification and a United Ireland in the context of the European Union. SS: In August the Department of Foreign Affairs in Dublin reported a sharp rise in people from Northern Ireland applying for Irish passports - they of course have British ones - is this a case of UK citizens keeping their options open? DK: It certainly reflects the fundamental re-evaluation that I spoke about earlier in this interview, where many citizens are looking at the uncertainties that are now being unleashed, arising from this Brexit decision, and recognizing that Irish citizenship is a much safer and a much more logical position to adopt in the context of our fast-changing international environment. SS: UK’s Brexit Minister David Davis has said that Britain will work to deepen its relations with the Republic of Ireland in the wake of Brexit, in order to maintain commerce and establish new business ties - perhaps you’re overreacting to Brexit, since London is saying that things aren’t going to become worse? DK: On the contrary, the British government has, in fact, evaded over what steps ought now to be taken in relation to the implementation of the Brexit decision and that is not surprising because the referendum should not have taken place in the first instance. It was never about the EU, it was always about the divisions within the right-wing factions within the British Conservative party. It was always about David Cameron trying to seep out the raise of narrow English nationalism, posing a threat to the British Conservative party. These are the dynamics that were in play and which led directly to the Brexit referendum. As a consequence of the way that that debate was staged within the British state, which increasingly became one about immigration, allowed for all sorts of xenophobic influences to be brought to bear, they now have a consequent decision which reflects more a "little englander" mentality than it does a state which is outward-looking and seeking to engage new political and economic relationships with the global community. So, the Brexit decision which the British government is going to take forward has nothing to do with outward-looking and forward-looking consideration of how the British State would engage with the international or the European community in the future. Irish people don't want to be part of that particular agenda. So, far from over-reacting, I think that what I am reflecting is a very representative view, shared about many sections of society on the Island of Ireland as a whole. I would say this: it is important to remember that when the majority of citizens voted in favor of remaining, here in the North of Ireland - that included Republicans, nationalists, and that also, importantly, included citizens of a Unionist perspective, who recognized that our place would be much better served by remaining in the EU and who did not want to be led by the nose out of the European Union by a "little englander" conservative perspective. SS: Now, obviously, you are not the only part of the UK that supports staying in the EU. Scots as well. And Scotland has already launched its second independence campaign… Will the UK survive Brexit, in your opinion? DK: I believe that the British State is now in an irreversible, Constitutional and political crisis. I'm not in a position to go and say what will happen in Scotland, but if indeed a new Scottish referendum is invoked and if the people of Scotland vote to leave the British State that will have huge repercussions for the viability and the current makeup of the British State as we know it. SS: Thank you very much, Mr. Kearney. 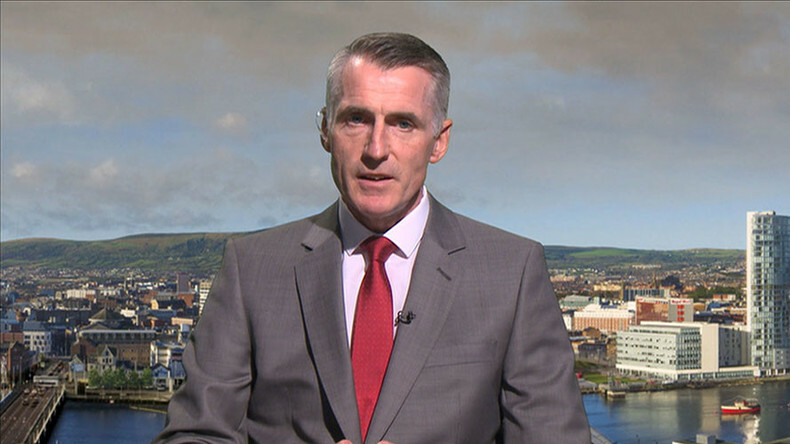 We were talking to Declan Kearney, member of the Northern Ireland Assembly, national chairman of Sinn Fein, about the possibility of Northern Ireland leaving the UK and uniting with the Republic of Ireland, following the UK's Brexit vote. That's it for this edition of SophieCo, I will see you next time.